Global With A Shiny Red At Symbol Metaphor PowerPoint Templates And PowerPoint Themes 1012-"Microsoft Powerpoint Templates and Background with global with a shiny red at symbol"-Global With A Shiny Red At Symbol Metaphor PowerPoint Templates And PowerPoint Themes 1012-This PowerPoint template can be used for presentations relating to-"Global with a shiny red at symbol, business, communication, internet, technology, signs" Fly in the face of conservative approaches. 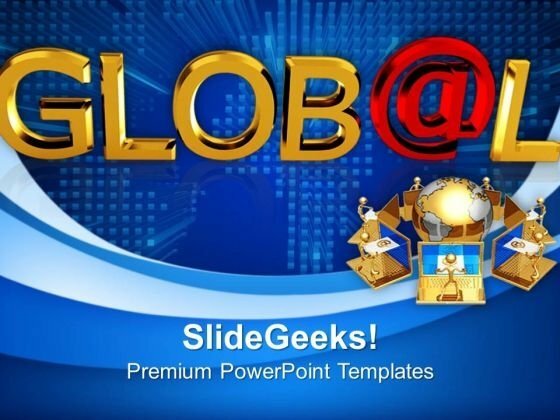 Our Global With A Shiny Red At Symbol Metaphor PowerPoint Templates And PowerPoint Themes 1012 encourage bold actions. Unmathed quality and quantity. Stay ahead of the game with our Global With A Shiny Red At Symbol Metaphor PowerPoint Templates And PowerPoint Themes 1012. You'll always stay ahead of the game.